Not long and it will be Valentines Day. Do you have your plans already? Do you and your partner love chocolate? Well why not do something a little different this year and get yourself a chocolate making kit and have some fun in the kitchen. 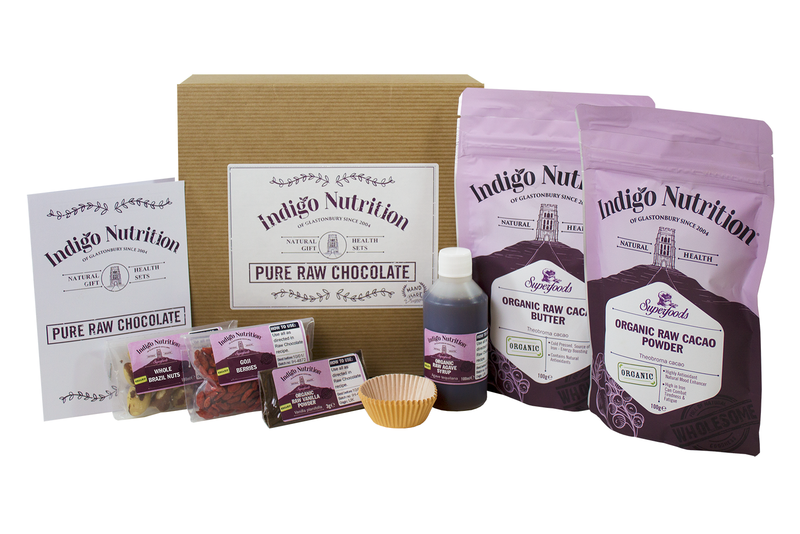 Indigo Herbs have a brilliant chocolate making kit with the extra plus side that it is also healthy for you too. Create your own nutritious and delicious dairy-free, gluten-free vegan chocolates. 100% purest natural ingredients. Cacao is high in protein, dietary fibre, potassium, phosphorous, magnesium, iron, zinc, copper, manganese and it’s a source of calcium and selenium. Packed with feel good phytochemicals and antioxidants. Inside each pack is everything you need to get started. They are easy to make and great fun to made for the family. It includes pre-weighed ingredients, recipe & instructions and the ingredients are 100% pure botanical ingredients, absolutely nothing added. 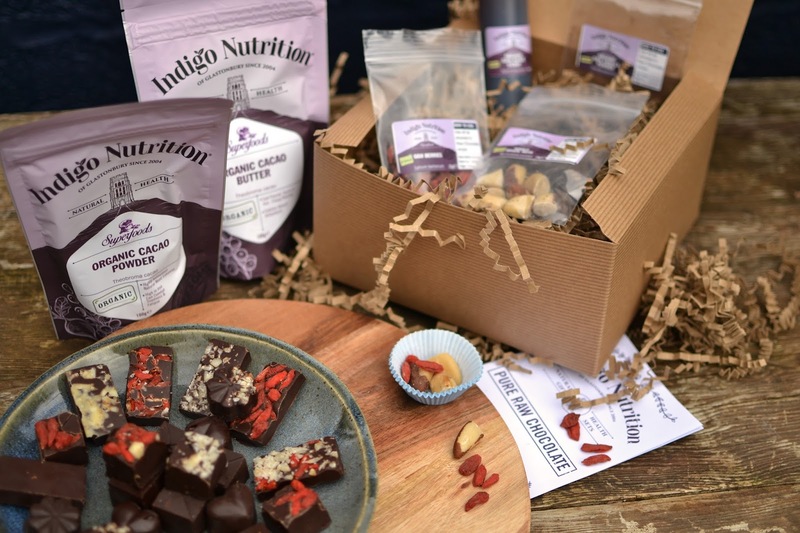 The pack includes Goji Berries & Brazil Nuts and Makes 20-25 small chocolates. Kit Includes: Organic Cacao Powder 100g, Organic Cacao Butter 100g, Organic Raw Agave Syrup 100ml, Goji Berries 25g, Brazil Nuts 25g, Vanilla Powder 3g. The Kit is £19.99 to buy and can be bought from the Indigo Herbs website. I have one kit to giveaway to one lucky winner. Enter on the Gleam app below for your chance to win! It is a sweet treat that leaves me feeling good! Chocolate always makes me feel great and it is good with everything! I love it's rich, creamy flavour and the way it melts in my mouth. Chocolate is so tasty and I love snuggling down on after a busy day and eating the whole bar. Flattery will get you everywhere, CHOCOLATE gets you there faster! I'd love to try this proper chocolate! I love how it melts in your mouth! I love both the taste and the texture and eating it gives me a sense of well being. It is a real treat and a comfort food when I have had a rough day. Anyone who wants to know why I love chocolate has never tasted it. In which case, I feel sorry for them. Chocolate and a cup of tea always seems to solve all your problems! I like good quality chocolate especially the dark variety. Its such a nice treat to perk you up after a bad day. Tasty, melts in the mouth. Nice with a cup of tea, and great for sharing. Love to share chocolate/s with family and friends. Total comfort treat especially after a tough day and delicious. It helps me with my workouts I know but its true. I love the snap when you break a bar, the smell and the feeling of warmth when you eat it! It makes me so happy and tastes incredible! At the moment I am on a strict 3 shake no food diet so I love it even more because I can't have it. I usually love it when I am allowed it because there are so many varieties available so I can always use the 'I've not tried that one yet' so you don't feel guilty. chocolate is the best thing that was ever invented! The taste, the way it melts in your mouth, and the fact it feels so naughty but is so good. I love the texture of chocolate, the way it melts in your mouth. My husband is dairy intolerant and really misses chocolate, so I'd love to win to see if I can create something he would enjoy! I love chocolate it always feel like a treat and lifts my mood. Because it brings me such pleasure when I taste it! It calms the nerves, smooths pmt and always feels like such a treat. Why does anyone love chocolate - it is LIFE! - Dopemine flood, time to yourself - even a one minute meditation on the sweet sugar and fat dissolving in your mouth... mmmmmmmm! Chocolate makes me feel happy and I also love cooking with it ! Eating chocolate makes me feel good :-) until after when I feel fat lol. That is only because I always eat a family size bar rather than just a little bit. I could never cut chocolate out of my life! do you need a reason to love chocolate? its just soooo amazing! tastes so good and can always cheer you up no matter what!!! I love chocolate because it tastes so good. I'm on a diet so I try and stick to dark chocolate at the moment. it always makes me feel better! Chocolate is definitely mood boosting and tastes delicious which is why I love it so much. choco choco chocolate yes please i just love it! Its just the best naughty treat in the world ever! I love chocolate as it tastes amazing from dark chocolate to milk chocolate, It all tastes so good even if it doesn't go well as part of my diet. Chocolate is comfort food,delicious with coffee or tea,or melted on icecream. It is the go to snack in the larder of an evening. I love chocolate because it's so comforting, a bad day always feels better after some chocolate...if only I only ate it on bad days! I have such a sweet tooth! Chocolate is just so yummy and helps me relax. I just love chocolate, I love the flavour, that you can give it as a gift and it instantly improves the mood. What is there not to love about Chocolate?! Looks like an amazing kit! I can actually lose weight and keep my weight down eating some black organic chocolate and its good for anxiety disorder which I suffer. For me chocolate is healthy and the dark is my favourite ! It's sooo delicious and comforting! It makes any dessert better in my view! I love chocolate because it is very good for me, tastes delicious and you only need a little to feel very comfortable indeed! I love chocolate because it melts in your mouth and it's delicious. I'm now not eating chocolate except for the weekend, because I love it too much! I like dark chocolate because it reminds me of my grandma. I love the silky, melt in your mouth taste of chocolate. I love the taste of course, but I also love that it comes in so many varieties and flavours. Thank you for the competition. It's sweet, it's tasty and if it's good chocolate it's wonderfully rich. It is just amazing , luxurious taste and sweet , love it. Do love the range of flavours and textures you can get. Oh and who thought that you could have "chili" and chocolate? It's very yummy though. I love chocolate because it tastes great and can give a little energy boost, provided you use it carefully for that. Chocolate is the best comfort food! It's delicious with coffee or tea, or sprinkled on icecream!!! The way the velvety texture melts in my mouth and makes me feel special! I love chocolate because it tastes so yummy, it's comforting and there is a flavour and texture for every occasion! I love chocolate because it gives me something to look forward to a few times a week!